A fine looking hand crafted ritual copper phurba with additional painted faces. Displaying intricate carving and an overall quality rarely seen. 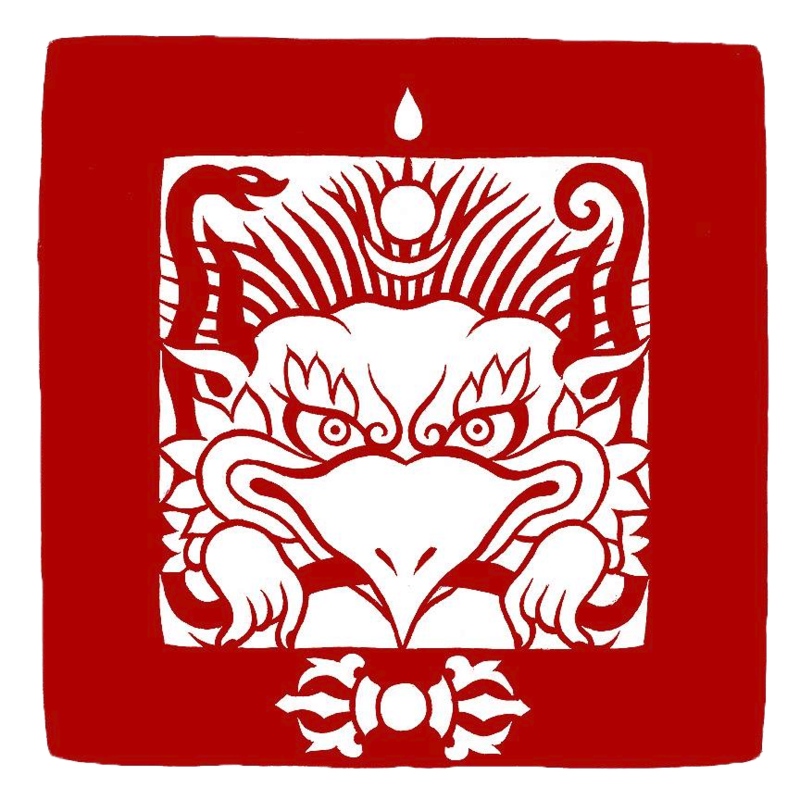 The three sided blade is held in the mouth of the mythical sea creature known as a Makara and represents the power to transform the "three poisons" or kleshas into wisdom. The three wrathful deity heads at the apex represent the three kayas and inwardly represent the three channels of the body. Extremely well carved and with a powerful presence.